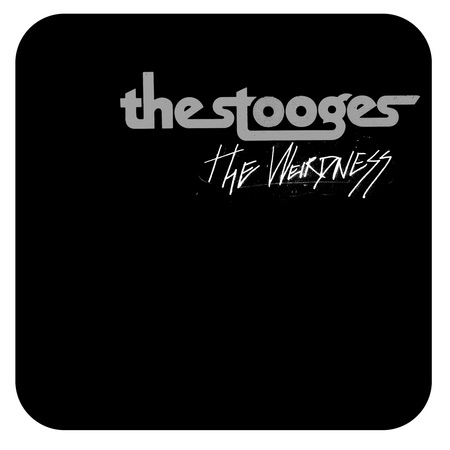 The new Stooges album The Weirdness is slated for March 6, and it's got 12 tracks with picturesque titles such as "Greedy Awful People," "End of Christianity," and "Mexican Guy." 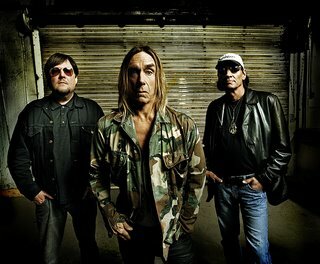 My bass hero Mike Watt joins all the other original members, as he's been doing with the Stooges since 2003 (great pic here), and holds down the low notes on the album in relentless form. Sounds good to me. Iggy is a king, but ditch the low-rise jeans once and for all. The man is actually made of leather, so clothes are kind of redundant. Dear Old Iggy. He's like Merlin - just gets younger every day. Thanks for this Heather. Imagine a 6th grader in Jersey singing "I'm Bored" (From New Values) down the halls of his middle school in 1985.
saw the reunited stooges at garage fest and they destroyed randall's island... this outing should be no different. good stuff, heath. 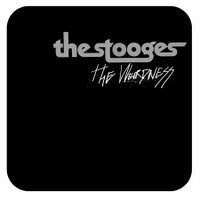 The Stooges + Mike Watt = I might cuss less in my blogs and cut down on the guitar solos while steering clear of the world's forgotten boy. 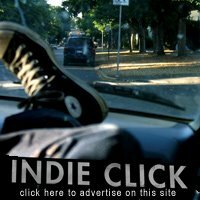 It doesn't sound like the Asheton brothers at all. Maybe they need to be on drugs again. It's exciting that they're back together, especially with the addition of Watt. But is it just me or does Iggy sound bored as hell on "Idea of Fun"? Where's the energy? Oh come on, it sounds like the Ashetons. That main rhythm guitar is classic Ron Asheton tone. Sounds like he's gonna bust into Loose at any moment. I'll admit that the second guitar is a little hair-metal for me, though. Actually, if anyone doesn't quite sound like himself on that, it's Watt. I love him, but that bassline's a little more generic than I'm used to from him. Somewhere along the line I came across information that Bowie's Jean Genie was really about ol' Iggy. You think that's true, boys? i like wot u have to say bout our relationship with music. iggy, the king of rock n roll is back with the stooges with minuteman mike watt on bass. it cant get any better than this. I always thought of Iggy as intensely horny much more than angry. Look at the lyrics on "Fun House" — pretty celebratory, if not downright positive. Oh yeah, awesome blog, by the way. Just got turned onto it by Jesus. Praise Him! I heard back in the late 70"s that Bowie's Jean Genie is about Iggy Pop...when you liasten to the lyrics it is not hard to believe it is true. Also, heard that Stones wrote Rebel, Rebel and Bowie wrote Angel (his former wife) and they swapped songs......this may just be one of those rock rumors.